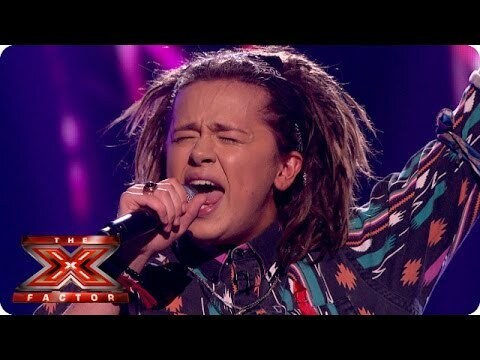 Tamera Foster has left The X Factor after the sing-off with Luke Friend. Tamera sang The Voice Within in the results show while Luke sang Run. The judges gave both contestants 2 votes each which sent it to Deadlock, and it was revealed that Tamera had the fewest votes. Through to next week's show - the semi final - with Luke are Rough Copy, Sam Bailey and Nicholas McDonald. Next week Leona Lewis and Michael Bublé will perform on the results show, and the contestants will sing Elton John and Beyoncé songs. Sam Callahan Opens Up About Brutal Assault On Tour - 15 comments. Sam Bailey causes Twitter upset over Paris Attacks - 28 comments. Rank the 10 X Factor Winners - 26 comments. Tamera: Can anyone help me understand why? - 20 comments. Create a Final 12 with failed Judges Houses contestants - 8 comments. Rough Copy Flop - 20 comments. Shell should of waited another year! - 28 comments. MTV's The Challenge: Discussion Thread [Currently Airing] - 3037 comments. brat. Ranks 'The Challenge' Trilogy Competitors [31 out] - 211 comments. The what you are listening to right now thread (part 49) - 627 comments. Comedian Zelenskiy wins Ukraine presidential election by landslide - exit poll - 10 comments. The girlies SNAPPED on this bop! - 3 comments. The EU - Referendum - 23rd of June 2016 - in or out? - 4392 comments.